Deciding which treat to leave out for Santa on Christmas Eve was always a big deal in our house. My brothers insisted on a can of Guinness whereas l loved to pick the special sweet treat. 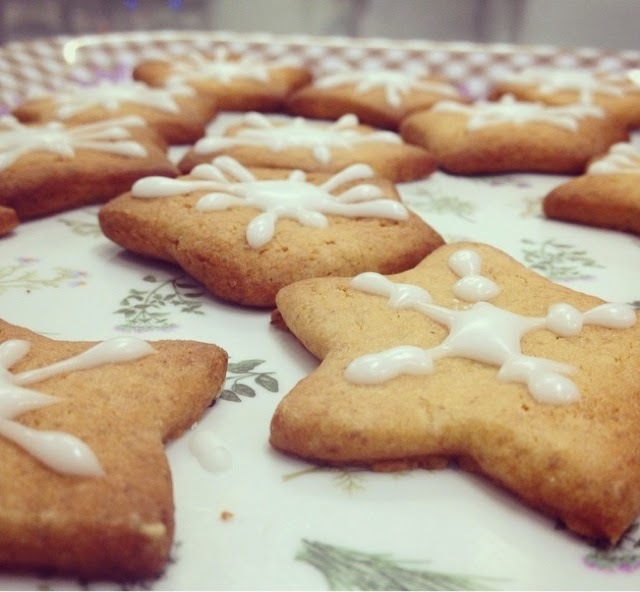 We went from mince pies to Lemon drizzle cake but my favourite has to be gingerbread cookies. 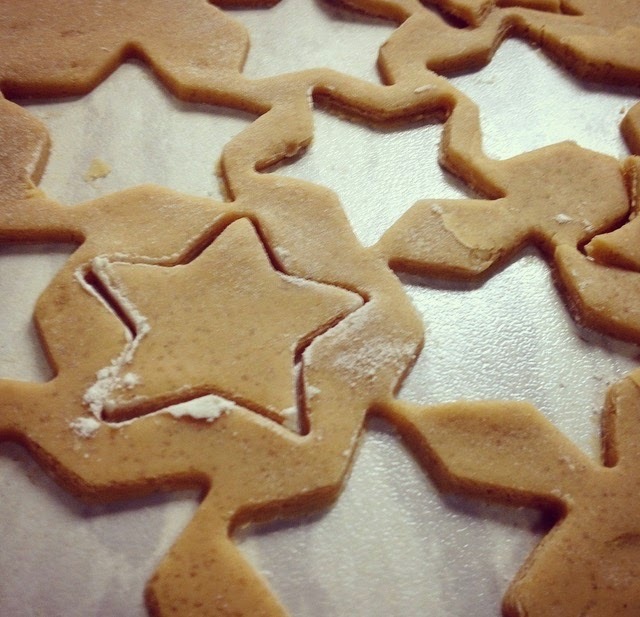 If you happen to have a little time on your hands this year, why not try these super easy gingerbread stars. They're delicious dipped into a mug of hot chocolate or dunked into a glass of ice cold milk. 1) Preheat your oven to 180C/350F/ Gas 4 and line your flat baking tray with greaseproof paper. 2) Cream the butter and sugar together in the electric mixer. Once pale in colour, add the egg yolk and golden syrup and beat again. 3) Sieve the flour, baking powder, cinnamon and ginger into a separate bowl and combine. Add this to the wet mixture and beat again. 4) Empty the moisture onto a lightly floured worktop and knead the dough until combined (add more flour if needs be). Roll the dough out and using cookie cutters of your choice, cut the dough and bake for approximately 10 mins until golden brown in colour. 5) Allow the cookies to cool while you prepare the icing by combining ten tbsp of icing sugar with three tbsp of water. Pipe the icing onto the cool cookies on a pattern of your choice. To colour the icing, add a few drops of food colouring to the mix.